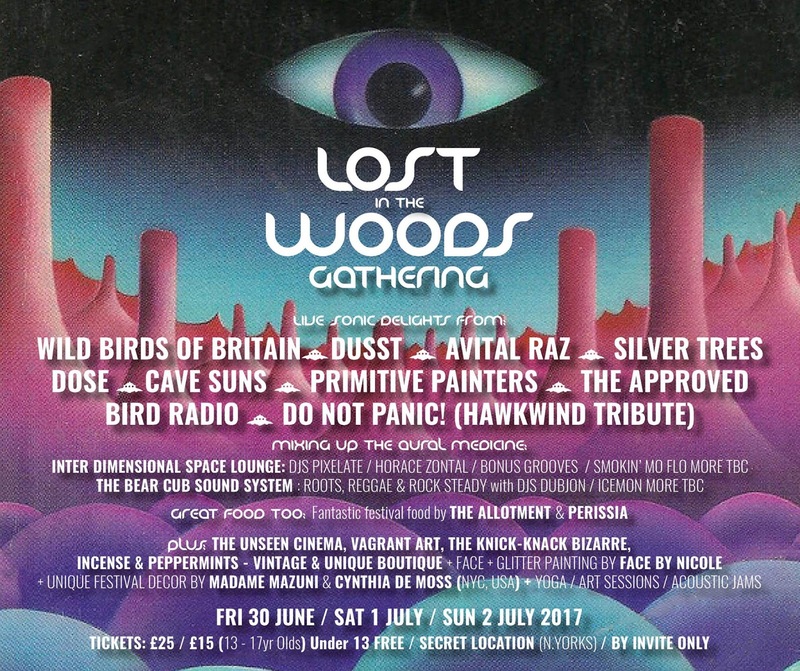 Imagination Engine get 'Lost in the Woods' this weekend, and no, its not a wrong turn, its the second incarnation of the independent and magical gathering hosted by Silver Trees. Held over two nights at a secret location in the hazy heights of North Yorkshire. On offer are over 10 outstanding live bands, soundsystems, DJ's, food, art, a hidden cinema, a boutique, a bazaar, stalls and activities and far out psychedelic festivities. The party launches at noon on Friday 30th June and runs through till late Sunday 2nd July. THE BEAR CUB SOUND SYSTEM ft DJs Dubjon + Icemon -Playing the finest Roots, Reggae, Dub, Rock Steady and more tbc with DJs / AFTER HOURS /THE INTER DIMENSIONAL SPACE LOUNGE featuring DJs Pixelate / Horace Zontal / Bonus Grooves / Smokin Mo Flo more to be confirmed. For Kids Craft packs, Lost in the Woods Merch, Silver Trees Merch, (other band merch as appropriate) beautiful hand made Jewellery, candles, incense and josticks and many other weird and wonderful accessories. Organised by Sharon Anne Barnes. Vagrant Art a project to use materials destined for landfill or melted down as scrap and turn them into things of beauty - Wearable art made with bits of scrap, big hammers and little saws by Kevin Pearson. Great Festival Decor by Madame ૐ Mazuni & Cynthia De Moss (NYC, USA) + Acoustics Jams + YOGA (Saturday / Sunday Morning) + Art Sessions + Face & Body Painting inc Glittter by Face by Nicole + Communal Fire + Much more to be confirmed. The gathering runs from Friday 30th June (noon) and ends Sunday 2nd July (5pm). TICKETS Including two nights camping: Adults: £25 // Teens 13 - 17yrs: £15 Limited Child Free - 12 and Under £0 (LIMITED) These are 'BY INVITE ONLY' so please contact us here or the bands, vendors etc for invite and ticket link. SEE YOU IN THE WOODS. Our thanks go out to Zander and all the Sleaze family for this great review of Sorry Escalators AA release ‘Generation Winter / Street Corner Absurdity’. “For fans of: My Bloody Valentine, Jesus and Mary Chain, Dinosaur Jr, Happyness and Team Picture. Sorry Escalator are a band who are characterised by noise rock and elements of shoegaze. Forming in 2013, they have gone on to tour with bands such as The Wytches, Fufanu and Weirds. In 2016 they released their first self titled EP Sorry Escalator, a lovely collection of songs which are original and accessible, on the fringe of 90s indie music but more comparable to bands in the realm of noise-rock such as the Jesus and Mary Chain. They have recently released their new double A-side cassette, Generation Winter , with tracks, ‘Generation Winter’ and ‘Street Corner Absurdity’. Released through the independent label Imagination Engine Records, it is a tape which shakes our walls and reminds us of our grunge induced teenage angst. ‘Generation Winter’ is a song which immediately throws us into their noisy sound with a strong melodic bassline, which is then drowned out by over driven guitars, something which is consistent throughout most of their music. The song is largely driven by catchy bass hooks and hazy lyrics. Much preferred to the former, ‘Street Corner Absurdity’ is the second track on their cassette. Laced with feedback, it definitely shows the moodier and more shoe-gaze side of their compositions. The song starts with a dreamy My Bloody Valentine distortion sound which carries us until the cataclysmic crescendo of fuzzy, piercing solos which act as an outro. As a follow up release from Sorry Escalator , Generation Winter  has lived up to their immaculate and creative sound. It is a great debut release on Imagination Engine Records, and has certainly put them in good stead for the future. Be sure to watch their space for updates on their music and gigs”. Words: Zander, Sleaze Magazine. Find out more about the online publication here and see the article in full on the site here. Always Thinking Mixtape - Broadcast Two - Transmitting NOW!! 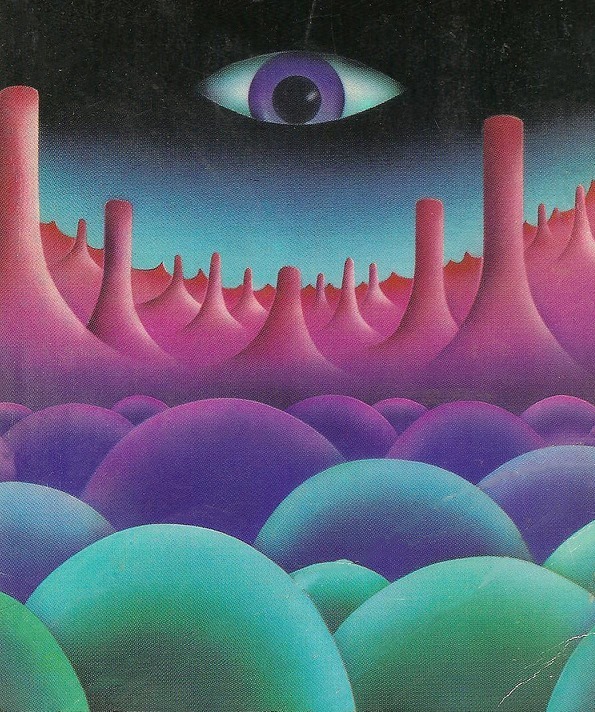 Just in time for a scorching Sunday sunset comes the perfect set, a mixtape of dream-punk, pop-prog, psych-gaze, folk-funk, shoe-pogo and other eclectic cosmic genres. The second broadcast of the #AlwaysThinking mixtape series is up online now for your streaming pleasure! 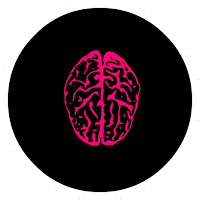 Just what we're listening to at the nerve centre and as always, a high grade selection of tunes from friends and favourite labels, blended together in an Alt-Rock, Garage-Indie jam, to be smeared all over your mind. 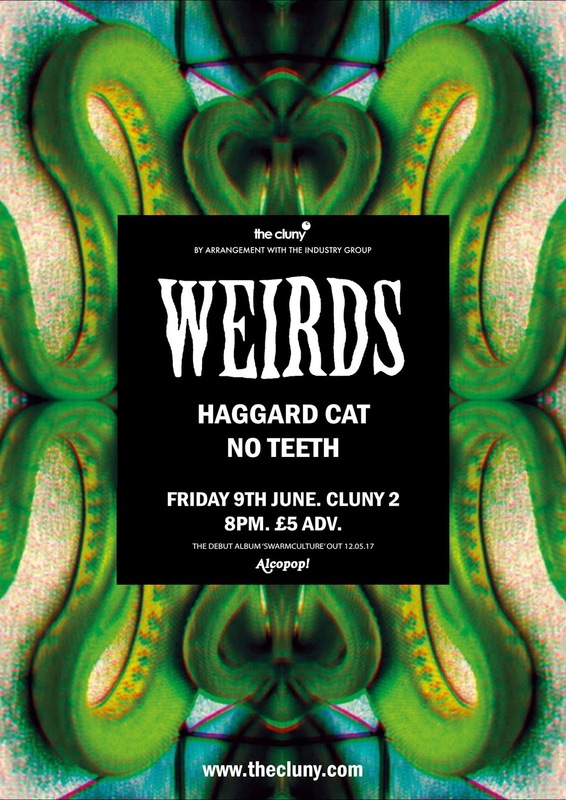 ..and stay tuned this week for more announcements from our bands about summer gigs, releases and a new label signing..
No Teeth LIVE TONIGHT, New Audio Video & Merch Bundles. Fear not Red Voters... Booze* the Blues away with NO TEETH LIVE tonight. NO TEETH our Doom-pop trio from Newcastle-Upon-Tyne are a experimental compound. Fizzing acidic distortion and Post-Punk percussion over psych’d out vocals are the bands trademark sound. 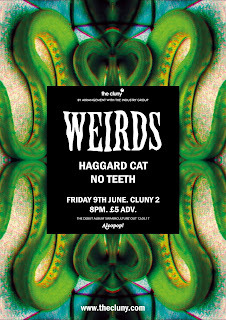 They play Cluny 2 from 20:00 tonight (09/06/2017)Check out the Facebook event page: Weirds / HCBP / No Teeth (Cluny 2). & check out 'Mother' by No Teeth via the link below. This demo version is a track called ‘Mother’ of which the full version will feature on the bands forthcoming ‘Wither’ EP due out on Imagination Engine Records this summer.